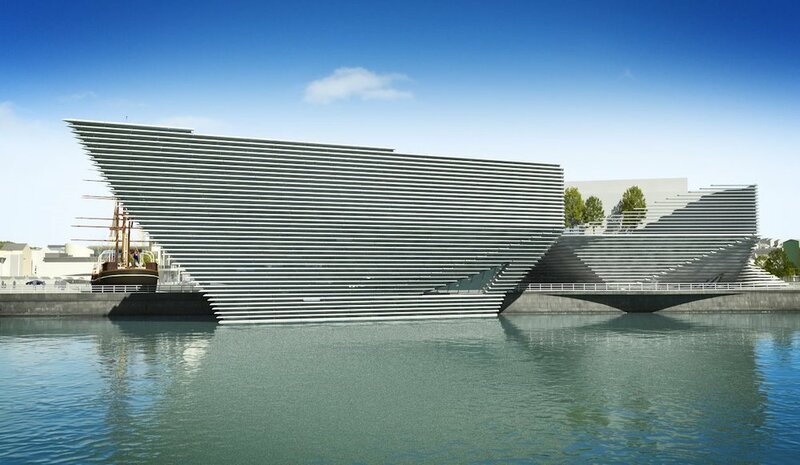 The £80m V&A Museum Of Design Dundee on the banks of the Tay, housed in a dazzling building inspired by cliffs on the east coast of Scotland has opened this September and is now the V&A’s first outpost in Scotland. The building, designed by the Japanese architect Kengo Kuma, is unquestionably a new landmark for the city, similar in wow factor to the Guggenheim in Bilbao, northern Spain, designed by Frank Gehry. From some angles it looks like the prow of a ship about to enter the water. Kuma has talked about wanting to create a “living room for the city” with a building resembling a Scottish cliff face. There are 300 exhibits in free-to-enter galleries telling the story of Scotland’s design heritage. At the museum’s centre is the 13.5-metre-long oak panelled room, which Charles Rennie Mackintosh designed for Miss Cranston’s Ingram Street tea rooms in Glasgow in 1907. The panels were salvaged in the 1970s and have largely been in storage since then. Other objects include original Beano artworks from the Dundee publisher DC Thomson and a 15th-century Book of Hours. The Turner prize-nominated artist Ciara Phillips has been commissioned to make a work in response to the collections. It would be seen by visitors as they reached the top floor of the museum, before entering the galleries. Also included is a recreation of a tea room by Charles Rennie Mackintosh which was revealed on the architect’s 150th birthday. 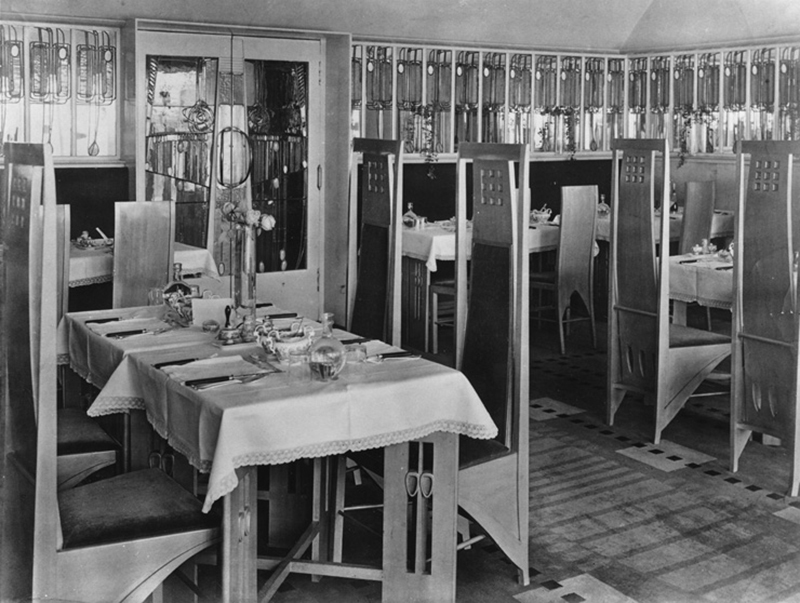 Mackintosh designed Miss Cranston’s Ingram Street Tearooms in 1907, which included an elaborate 13.5-metre long Oak Room. Considered one of the Scottish designer’s key projects, it shaped his ideas for the Glasgow School Art Library which was completed in 1909. The Oak Room was saved by the Glasgow Museums when the building was demolished in 1971 and put into storage. It will now be painstakingly reconstructed inside the Kengo Kuma-designed museum when it opens to the public in September.